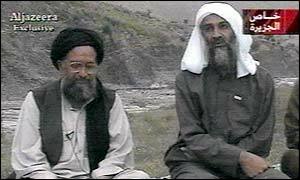 We have not heard from Al Qaeda's #2 man, al Zawahiri in quite awhile. What has become of him? It was one month ago, Oct. 31st, when the U.S. conducted an airstrike against a madrassa in the village of Chingai in Pakistan's northwestern tribal belt. The U.S. claimed the objective of the U.S. operation was to eliminate a jihadist high-value target. One can assume the target very well may have been the deputy al Qaeda leader, Ayman al-Zawahiri. The previous attempt, which failed, was back in January, and he wasted little time coming out with a video taunting Bush. Did we get him this time, or did we miss again, but got so close that he went deep underground?